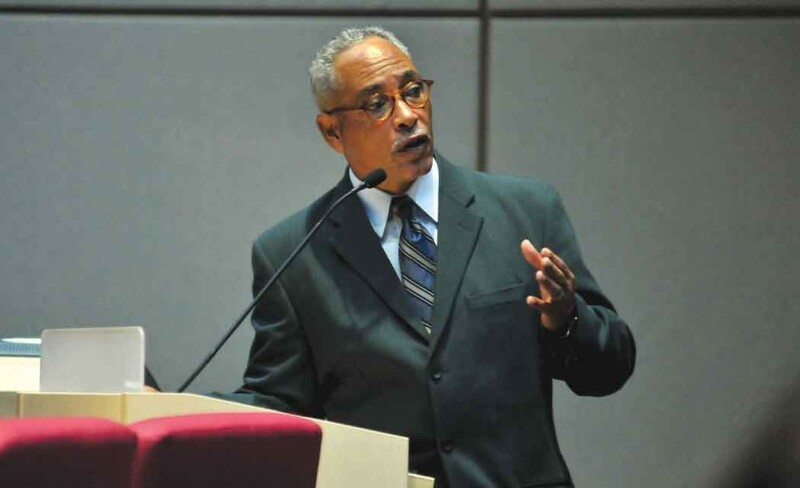 The Solid Waste Authority (SWA), which disposes of two million tons of solid waste in Palm Beach County and 5,000 tons per day, is having a disparity study done to see if there’s a statistical disparity in the awarding of contracts to small and minority businesses. The study is being conducted by black-owned Mason Tillman Associates, Ltd out of Oakland, California. The SWA contracted Mason Tillman in December for reportedly just over $340,000 for a one-year study of whether businesses owned by minorities and women get a fair share of contracts from SWA. The company will look at the SWA’s contract records, identify market area businesses, and collect anecdotal accounts from business owners. Mason Tillman is a national expert at conducting disparity studies, having conducted 132 such studies around the country since its establishment in 1978. Mason Tillman president, Eleanor Mason Ramsey, Ph.D, was on hand at the SWA on Oct. 8 for two public meetings to hear from small business owners and the public regarding their interest or participation in the disparity study. Ramsey outlined the process of the study, which is taking a look at SWA’s awarding of contracts from 2009 – 2013 in the areas of construction, professional services, commodities and trade services. It will also interview businesses that would like to share their bidding or contracting experiences or those businesses that would like to potentially do business with the Authority. Ramsey said her company will present it’s findings within six months. “We want to see if there are improvements that can be made,” said Mark Hammond, Executive Director of SWA. “Palm Beach County’s Board of County Commissioners thought it might be a good idea to conduct this study to see how we’re doing. Hopefully some things — we could do better,” he told the audience. The Solid Waste Authority, however, is named in a lawsuit by a black woman, Tina White, one of two subcontractors filing the lawsuit. According to published reports, White, owner of Brilliant Minds Enterprises, along with James Jr. Enterprises, have sued Southern Waste Systems of Broward County, saying it misled the Solid Waste Authority about their small business participation in 2013 as part of the trash collection contract it received from the county. According to the Palm Beach Post, Brilliant Minds Enterprises and James Jr. Enterprises, claim in the $1.6 million suit filed Sept. 14, naming the Broward-based Southern Waste and the Solid Waste Authority, that SWA is not enforcing the small business requirements of their contract and has a systematic preference for white-owned businesses. According to the lawsuit, the Southern Waste president gave a sworn affidavit stating that the firm would contract for five years with the Riviera Beach based Brilliant Minds for administrative and management services and with West Palm Beach based James Jr. Enterprises for vegetation collection and truck towing. However, neither company ultimately received a contract. In a telephone interview, Saundra Brady, Director of Purchasing Services for the Solid Waste Authority, said the company is taking a “wait and see” approach to the disparity study, but says she expects there will be no findings of discrimination. Bruce Lewis, President and CEO of LB Limited and Associates, Inc., a strategic PR firm for over 25 years, says he expects there will be a finding of some disparity with the SWA, but says small black businesses are part of the problem as well. Lewis said his company identifies, recruits, and certifies small businesses to do business with county projects. “I’m a small business advocate,” he said. In regards to the SWA Disparity Study, “I expect it will reveal an already known disparity, because we know that the methodology used by the government is not the most efficient. Now, we’ll find the causes of the disparity,” he said. Anyone interested in information on the SWA Disparity Study or for small business participation, please contact Mason Tillman Associates, Ltd at 510-835-9012 or email: swadisparitystudy@mtaltd.com.